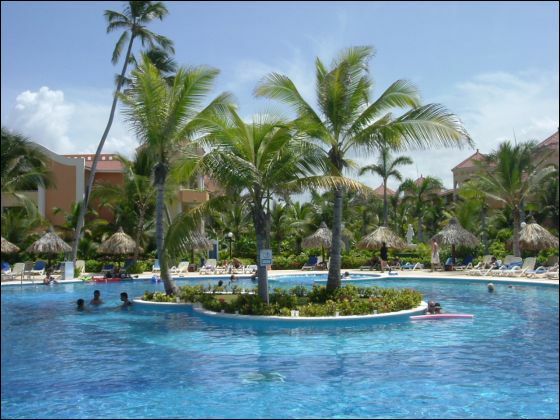 The hotel Gran Bahia Principe Ambar is located in Playa Bavaro Higuey, Dominican Republic is just 30 minutes from Punta Cana Airport and 90 minutes from La Romana Airport. 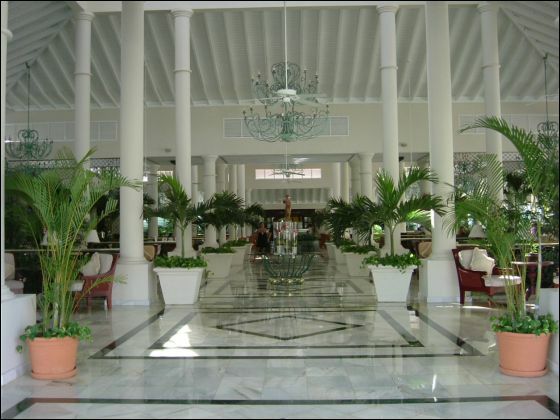 This is a Caribbean style hotel with a hint of Colonial decoration. 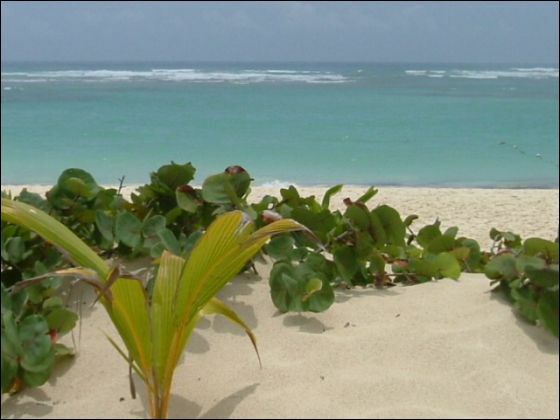 It is on a white sand beach which stretches for over 700 meters surrounded by tropical vegetation. The resort is located next to the new Golf Club Punta Blanca and close to the Palma Real Golf Club- Cocotal. It is also just 90 minutes form the world famous Casa de Campo Golf Club. Privileged location: closest possible location to the ocean with exclusive services. SPORTS- 1 free hour per day: Windsurfing, Kayaks, Sail Boats, boogie boards, catamaran, day and night tennis courts, mountain bikes, snorkeling, scuba diving classes. Complimentary entrance to the “Pueblo Principe” disco with free national drinks. 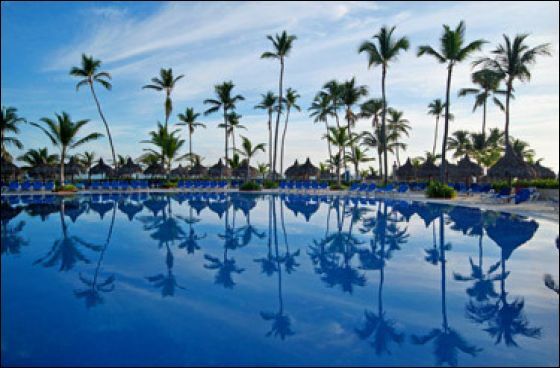 Guests staying at GRAN BAHIA PRINCIPE AMBAR have access to all facilities and services offered at the hotel as well as those offered at the main BAHIA PRINCIPE complex with 5 pools, 8 restaurants, 10 bars, 2 snack bars, 2 lobby bars and 4 wet bars. Unlimited number of dinners at all a-la carte restaurants (with reservations). Internet access from your room. Wireless lap top rentals with internet access from anywhere in the complex. Catamaran excursions, fishing charters, boat charters. Telephone calls, faxes and mail. All services not specified under “INCLUDED”. Meals and drinks: available within the Hotel area 24 hours a day. Opening hours of restaurants and bars: detailed in the Services Directory, available at the Hotel. Enjoy the most luxurious stay in the lap of luxury with every comfort imaginable. Rest and relax in one of our 528 Junior Suites with hydromassage bath tub and separated jet shower with hydromassage, set in 3 storey villas. 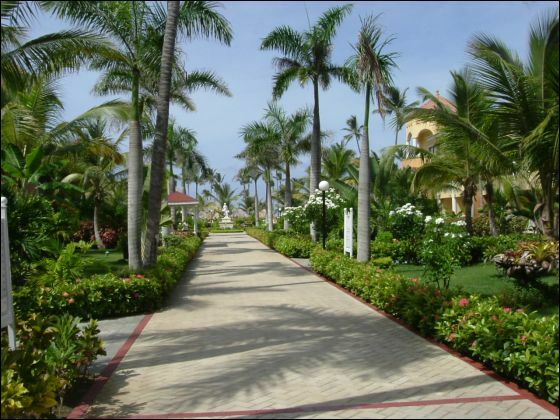 The ideal place for rest and comfort in the Dominican Republic where every little detail has been take care of for you. All rooms with : 2 full size or 1 King Size bed style "pillow top", sofa-bed, air conditioning, ceiling fan, full bathroom, hairdryer, vanity mirror, scales, alarm clock, coffee maker facilities, plasma Sat-TV, direct telephone, private safe (no extra charge), mini-bar and balcony or terrace. 3 A la carte Specialty Restaurants (air-conditioned and non smoking): Gourmet, Italian and Seafood restaurant. Our facilities, services and our staff's attention will make your honeymoon something you'll cherish forever, just like your wedding day. Everything was smooth and wonderful, would rather have a direct flight for the next time is all. Rooms: the rooms were great but we got two queens and they could not change us to a room with one king, but the location was perfect very close to the pool, we got the building that we requested and 2nd floor! We Had a Great Time at GBP-Ambar! It was Great, The service was Great! Everyone was nice and friendly! The flight, No problems, the check in was smooth ,fast and friendly! We enjoyed the Food, and we ate alot! lol.We sent in advance room requests and ala carte dinner reservations we wanted and All were met! My wife mentioned to a couple people their in advance about my birthday, the Next day, and they had decorated our room with balloons, rose pedals and candles and a bottle of Cava and a cake awaiting us before dinner! Dinner at the Don Pablo was great and they had a cake also! The main Bartender at the Lobby Bar held a special table waiting for us with singing waitresses and, another cake! All that was the day before we were leaving! The Ambar (GBP )as part of other large resorts there, and it doesn't feel that way! The room was big , very nice looking, maid service was good and we had turn down service each night! The beach was beautiful as ever and we just love walking it lots each day and one can just keep walking and walking! Thanks again to All of YOU at Discount Charter Vacations, once again you guys were great you recommended another great resort for us! If anyone has any Questions about The Ambar, feel free in-asking....I know you've been 3 times yourselves and now we KNOW WHY! The flights: Flying out of Fargo ROCKS! It is so convenient and a small airport - don't have to be there hours ahead of time. Had one connection in Minneapolis which went smoothly. Transfers: A little confusing at first, but once we found our Delta rep we were on our way! Beach: GORGEOUS! Sugar sand and virtually no rough coral. The best beach we have ever been to! Sailboats, kayaks, boogie boards were free to use and almost always available. Pool: Adult only section, so greatly appreciated no kids! Swim up bar was awesome & staff was fantastic! Service: Staff was attentive and always pleasant even when our language barrier got in the way. Food: Buffet was great - always a wide variety of choices and YUMMY! Ala Cartes had fabulous food. We had slow service at one of them, but I blame the obnoxious drunk table in our section that monopolized the staff. Rooms: Most comfortable bed we have ever had at a resort. We had a Jr Suite so was very spacious. Very clean & comfortable. Maid service was fabulous. Entertainment: Did not ever go to the Casino, but heard people saying good things about it. Took in several theater productions that were a ton of fun! Each lobby area had a variety of things ( vendors, drink stations, entertainment...) to enjoy which changed every night. How did you find our service? Always top notch. Are you satisfied with the service provided and received? Yes! Will be contacting you to arrange our next Winter vacation. You always take such good care of us! Any additional comments: Thank you SO much for recommending this resort. We have been telling everyone we know that this was probably the MOST relaxing vacation we have ever been on! Thomas and I had a great trip to the Gran Bahia Ambar! The resort was beautiful and very relaxing. We had great weather! Transfers: The ride from the airport to the resort was a little scary, the driver drove like a maniac but we got there! The return trip to the airport was much smoother! Food: Excellent food....from the buffet to all the restaurant options we enjoyed every meal. We ate at the buffet, the italian restaurant, mediterranian restaurant, and the hibachi restaurant and loved it! Any additional comments: thanks for help making our trip so enjoyable! We loved out stay at the Gran Bahia!!!! It was amazing and we want to go back soon!!!!! Beach: Beautiful blue waters. Had staff cleaning the beach all day everyday. We are planning to return on a trip with friends this time! We would recommend this resort to anyone and everyone! We have gave out your contact info to our new friends we met on out trip who thought they got a good price until we tolds them what we paid! Overall our stay was wonderful, we had so much fun and were able to relax and enjoy the beautiful beach. We loved the adults only aspect and were very pleased with our entire trip. The food could have been better but as our first time out of the country we did not know what to expect. We have plans to return within the next year and plan to take friends with us!! Barb & I had a great time in Punta Cana. 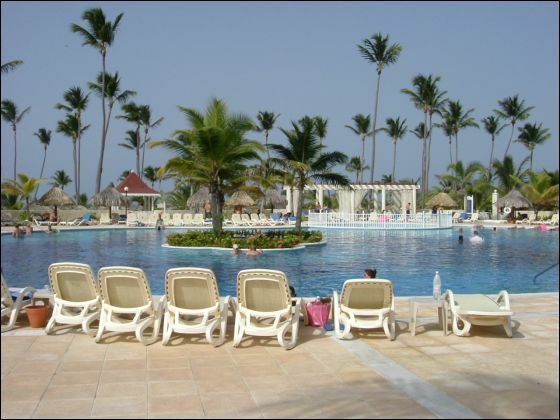 The Gran Bahia Principe Ambar was a great place to stay. 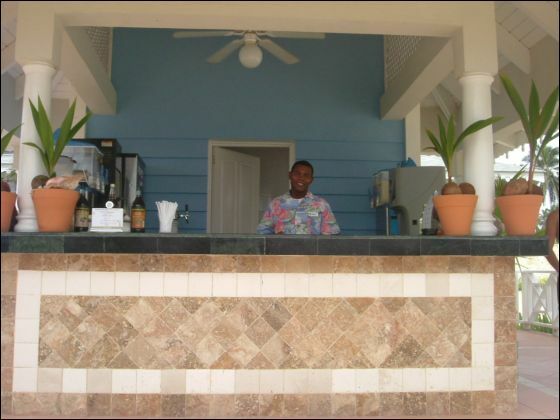 The Ambar 's landscaping was like a tropical paradise & the room, pool, & service were excellent. We ate at the buffet every meal and always found something that appealed to both of our tastes. We especially liked the deserts, mmmmmmmm very tasty. The only drawback to the vacation was the flight and scheduling of the a la cart resturants. We were supposed to arrive in Punta Cana at 4PM but the plane broke down in Cleveland. We sat at the Pitt airport till 1PM, then got bused to Cleveland where we waited till the plane was fixed and finally got to the resort at midnight. Bummer!! Also they had our alacart meals scheduled on days we would not be there. The representive got them changed, but could not get us in till late in the evening. Of course, we decided to eat at the buffet in which we were not dissappointed. Yummy. I would recommend this resort and visit the Ambar again. As always we would recommend your travel agency and services. We truly enjoyed our stay at this ADULTS ONLY resort! 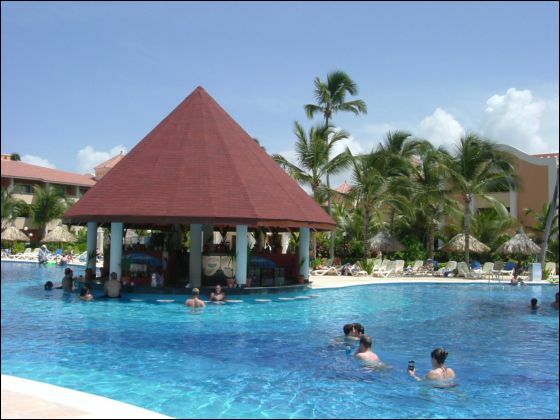 The resort is part of the Bahia Principe Complex, but The Ambar is an Adult Only Section which we thoroughly enjoyed! From the service, food, rooms, beach - we found this to be one of the best resorts that we have stayed. When we arrived at the Gran Bahia Complex, we were taken to the Adult Only Ambar Section by a tram. Upon arriving at the Ambar lobby, which is open air, light and breezy and very spacious, we were greeted by a very friendly and helpful staff. We checked in, which was very easy. We also pre-booked our dinner reservations. At the Ambar section, there are 3 ala carte restaurants and also the buffet. All are air-conditioned & non-smoking. However, you do have access to the other restaurants located in the Bahia Complex. The concierge is located in the lobby and will be happy to make your reservations or make changes to any reservations as well. Our room was nicely located. 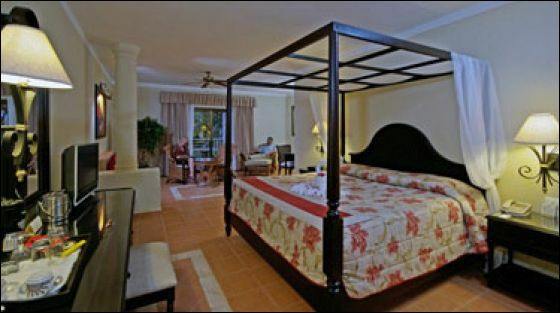 Being that the adult only section is not too big, all rooms are located between the lobby and the beach/pool area. Room was very comfortable and always clean. All rooms are jr. suites. It is also the section of the Bahia that is closest to the beach. The beach area is large with quite a few palapas and many chairs. We found the area close to the beach bar quite handy and with plenty of open palapas. Frank and I are more beach people and although the pool looked inviting, we prefer the ocean. The beach and ocean - just beautiful! We walked quite a bit both ways on the beach - again, just wonderful! Would we recommend this resort? MOST DEFINITELY! Would we return? MOST DEFINITELY! This was one of our most relaxing trips and would return in a heartbeat! We would recommend this resort to any adults looking for a relaxing getaway! 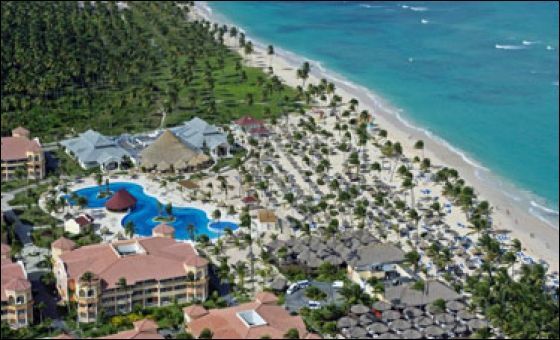 Great for adults, honeymooners and anyone looking for an Adult Only resort, with great amenities, food, service, rooms etc. Beach: FANTASTIC! The sand was powdery white and clean, and the water was crystal clear and perfect! Not waves and not too much seaweed. I read many reviews about not being able to find a palapa and that you have to get up early to put a towel down, but we had no problems finding a spot with shade, even going down in the afternoon. The resort seemed pretty empty. Pool: the pool was beautiful but was too hot. Would have preferred the pool to be a little cooler since it was not refreshing at all so we preferred to stay at the beach. Service: the service was wonderful. The staff was so nice and helpful and always had a smile on their face. Food: food was good, there was always something that was good to eat, but it was not as good as other resorts I have been to. It was really hit or miss. Also the reservation policy was really ridiculous. We tried to change reservations, and when we would try to book a restaurant they would say they were full, but when we went to the restaurants there would be only a handful of people there. Not sure if they do not order enough food or what, but this was the main complaint with us and other couples we spoke to. Rooms: the room was wonderful, very clean, no sign of bugs, (and trust me I am a freak about checking for bedbugs)! The butler service was really great, and the bed was super comfortable and the pillow menu was a nice touch, definitely recommend taking advantage of that. Entertainment: there wasn’t really anything going on at this resort, which we did not mind. We were too tired to take advantage of the entertainment at the other connecting resorts. Would you return: I probably would not return to this resort only because I like to try different places, it doesn’t have to do with the quality of the resort. Would you recommend this resort? Yes, especially to couples. Everyone was a couple, so it would not be good for a group of friends or single people. Your service was great! Karin was super helpful and great with setting everything up and dealing with all my crazy questions. She returned all my emails promptly and was very friendly. I gave Karin’s info to several people who are going to plan vacations. Had a really nice time on the trip! The place was very clean and beautiful. One thing was the language barrier as many of the workers not understanding English very difficult to communicate if there was a problem. But found that those at the front desk were much better to communicate with, so any issues, questions or concerns, they were able to help. The traveling on the plane and the transfers went great the flights were excellent. Thanks for the dinner reservations worked out great. I will be calling you again for the next trip! We were extremely happy with your service! The food was excellent, the beach was beautiful, the pool was pretty, water was too warm for our taste. A small language barrier, not many spoke english. All in all, we will definitely book again with you! PS: Our anniversary was nice they had Champagne and cake. Thanks Karin for this! Your special gift was greatly appreciated!